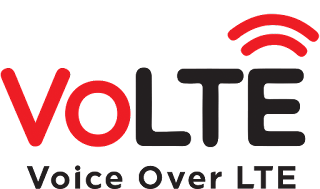 After launching of Jio SIM in India, there is new Term used at many places like - True 4G call Service, 4G HD Voice Calling Service etc and all these link to one single work - VOLTE which stands for Voice Over LTE. This is basically new feature where you can make calls from your internet connection over 4G to any phone, landline, mobile with crystal clear sound, no disruptions or call drop considering you have enough 4G. - List of All 4G Enable Phones on Flipkart and Amazon. 1. For Android Lolipop Non Rooted - How To Enable VoLTE option From Settings No Root. Launch the Dialer app on your phone, and dial *#*#4636#*#*. Enable or select VoLTE Provisioned Flag. Go to Settings ” More ” Cellular networks and toggle the switch for Enhanced 4G LTE Mode, and the HD Voice calling feature should now be activated on your device running Android 5.1.Launch the Dialer app on your phone. Install SOLite App & launch this app. close sqlite editor , restart your phone , open settings > Sim cards & mobile . After following above steps you can enjoy VoLTE on your mobile. Xiaomi soon officially updates VoLTE in their device in next update. Download and install Jio Join application in your android mobile. Open Jio Join App. You need to allow the app to access your contacts, messages etc in order to work correctly. Now enter your Jio number and proceed further. It will verify your mobile number. Please note that Jio SIM card is required to use this. Also, make sure that Jio SIM is inserted in your LTE SIM slot. After verification, it will ask your permission to change default calling and message app to Jio Join. It will be better if you give the permission as it will be very easy to initiate a VoLTE call directly from Joi Join app. Now you are ready to call via VoLTE with Jio network. Hi, I am using Redmi Note 4G.. I have rooted my phone to usw voLte via SQLite Editor. But after installing that app, i couldn't find this one "Volte_feature_disabled" to change the value from 1 to 0.. Plz help me if u can.. Btw what if i add that option with o value? Plz reply.. Thanks! hey, im using, one plus x, which is not letting me edit the global table. can u help me with this.